'Oil of Vervain' - Available to buy from my Etsy shop. 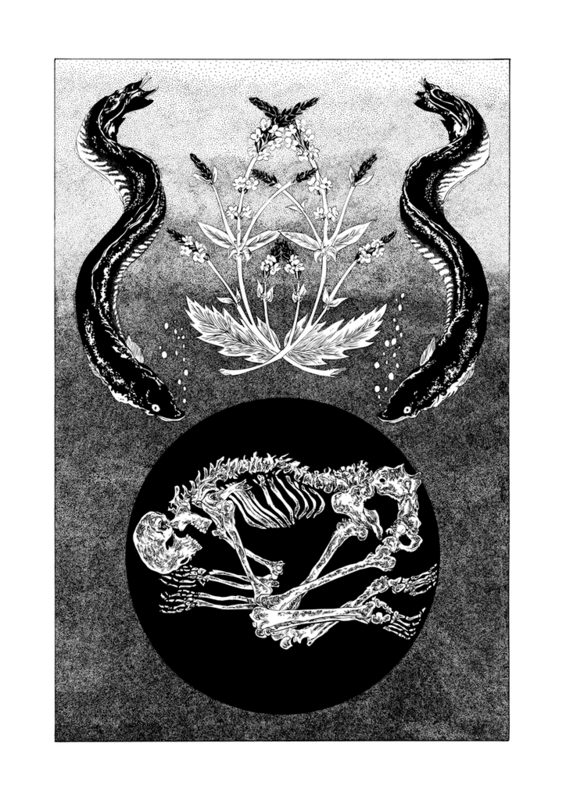 An illustrated depiction of the folklore surrounding the Vervain plant in the Lincolnshire Fens. The Fens, also known as the Fenland(s), is a naturally marshy region in eastern England. Vervain Oil was used to locate drowned bodies under the belief it would attract eels to the spot in the stream where the body lay.